Employees in India are expected to get an average salary hike of just 9.5 per cent this year, lower than last year, while top performers will get lucrative hikes as companies are focusing on performance. HR consultancy Aon Hewitt's annual Salary Increase survey projects a drop in pay increases to an average of 9.5 per cent across industries. It was 10.2 per cent in 2016. The gradual slowing of pay increases over the last few years (from 15.1 per cent in 2007 to the projected 9.5 per cent in 2017), and higher emphasis on performance indicated the "graying" of salary budgets for India. "While it's a marginal decrease from the 2016 spend, it reflects maturity that India Inc has displayed amidst global and Indian economic and political events. This includes, and is not limited to Brexit, recent changes in the US government and the much talked about demonetisation," the survey that analysed data across over 1000 companies said. Organisations are increasingly focusing on performance and key talent. The pay differentiation between the top and average performers has also increased and key talent is getting 1.8 times salary than that of an average performer. Moreover, for key talent management, companies are resorting to various initiatives like career development, learning and development, international and functional mobility, leadership access among others. Despite the year-on-year decline in salary rise, India continues to lead the Asia-Pacific region. China is expected to see a 6.9 per cent increase in pay hike, Philippines 6 per cent, Malaysia 5.5 per cent, Singapore 4.1 per cent and Japan 2.4 per cent. "Political changes and economic headwinds have had an impact on business performance. 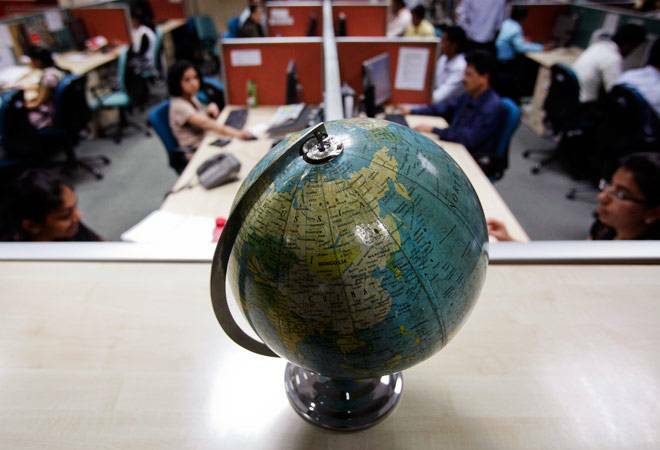 However, the trend this year reflects a gradual slowing of pay increases and higher emphasis on productivity and performance-quite literally a 'graying' of salary budgets for India," Aon Hewitt India Partner Anandorup Ghose said. Ghose further said that "in the last few years India has seen good numbers in terms of salary increases, more than 11 per cent. But over the the next few years we won't see and may be into the future we won't see the numbers going so high". Sectors such as life sciences, professional services, chemicals, entertainment media, automotive and consumer products continue to project a double-digit salary increase for 2017. However they have taken a drop from their 2016 actual spends. Meanwhile, overall attrition numbers are 'controlled', while key talent attrition has seen a significant increase. The overall attrition number for India at 16.4 per cent is one of the lowest in the emerging market segment. The number has remained constant since 2015. Meanwhile, key talent attrition increased from 7.3 per cent in 2015 to 12.3 per cent in 2016.